The meetings are open to the public. You are encouraged to bring your latest, finished quilting project for "Show and Tell." Alamo Heights Baptist Church, 1305 Midland Dr.
MQG; P O Box 8757; Midland, TX79708. 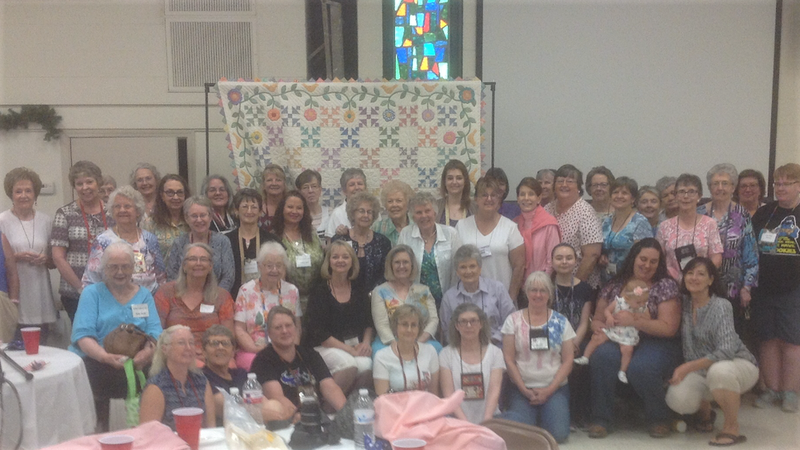 New Quilt Bee: members teach members/work on your own project, Second Wednesday of the month, 12-3:00 p.m. at Alamo Heights Baptist Church, 1305 Midland Dr.
Alamo Heights Baptist Church is located at 1305 Midland Dr, Midland, TX. It is midway on Midland Dr., between Andrews Hwy (191/158) and Cuthbert Ave., on the west side of Midland Dr. and the north end of the church. The entrance faces Midland Dr.
We have some fun themed Market workdays planned to help us prepare for our Quilt Show in October. We would love it if you joined us at the Thompson House from 9-4 on the following days for these days of creativity and fellowship. There will be kits to work on as well as an opportunity to bring your own projects to share. It is Quilt Show time again! We can’t wait to see everyone out at the Midland Convention Center October 4-5th.